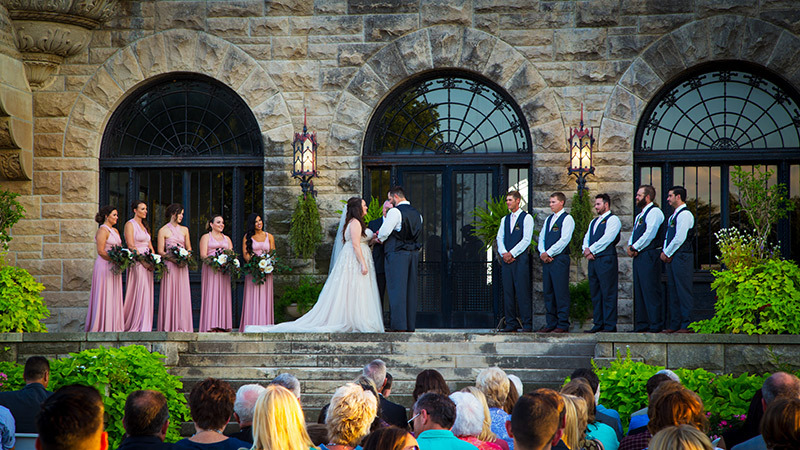 our top 5 reasons you may want to consider one for your special day. A photo booth provides a fun and comfortable atmosphere designed to capture authentic and memorable moments. You won’t regret renting a photo booth when you see your grandma wearing a pink boa, crazy glasses, and a sailor’s hat. 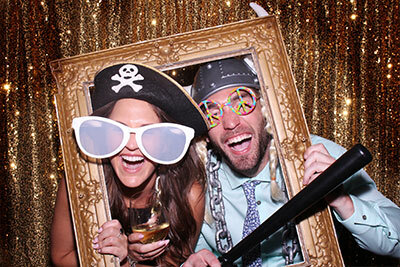 A photo booth somehow brings out the true personality of you and your guests! Plus, everyone will have souvenirs to keep on their fridge or to post on social media! 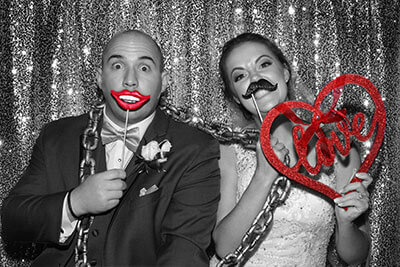 Your wedding photo booth will be unforgettable and provide memories that will last a lifetime! Your wedding is about you, but while you’re busy taking pictures and mingling, why not offer your guests some fun too? A photo booth is guaranteed to be one of the highlights of your wedding because it is something everyone can be a part of as well. Adults will have an incredible time acting like kids even if it is only for a minute! Photo booths bring out the craziest side of people, and you will hear a roar of laughter from your family and friends! Even the most camera-shy people are likely to join in on the fun. 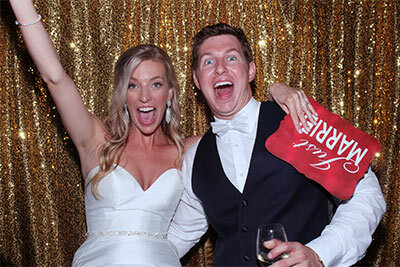 One of the most common phrases we typically hear is, “This was the best part of the night!” Considering total wedding costs, photo booths are cheap entertainment that provides hours of fun! The scrapbook is the favorite part of the photo booth experience for many couples. A copy of every photo strip that’s taken in the booth is pasted in the scrapbook, and your guests are encouraged to write personal notes to you and your significant other. Couples enjoy seeing the true personality of their family and friends shine through the pictures as well as personalized messages written to them. A wedding scrapbook can also be used as a guestbook which saves you money! People love photos. Who doesn’t love a new Facebook profile picture or Instagram picture? Sure everyone can take a selfie with their phone, but photo booths are likely to have professional cameras and high-quality printers that result in amazing images. A photo booth is a wonderful way to make sure everyone gets a great looking photo during your wedding reception. Plus, it’s a great party favor and a memorable keepsake for you and your guests! Photo strips from a photo booth can be customized to include your name, wedding date, and theme of your wedding. Tip: Be sure to find out if your photo booth rental company is using a professional camera and not a webcam!!! Guests will enjoy taking pictures, posting to social media, and interacting with other people. Everyone probably won’t dance throughout the entire reception, so a photo booth makes for a great activity. Photo booths bring people together and are friendly conversation starters. 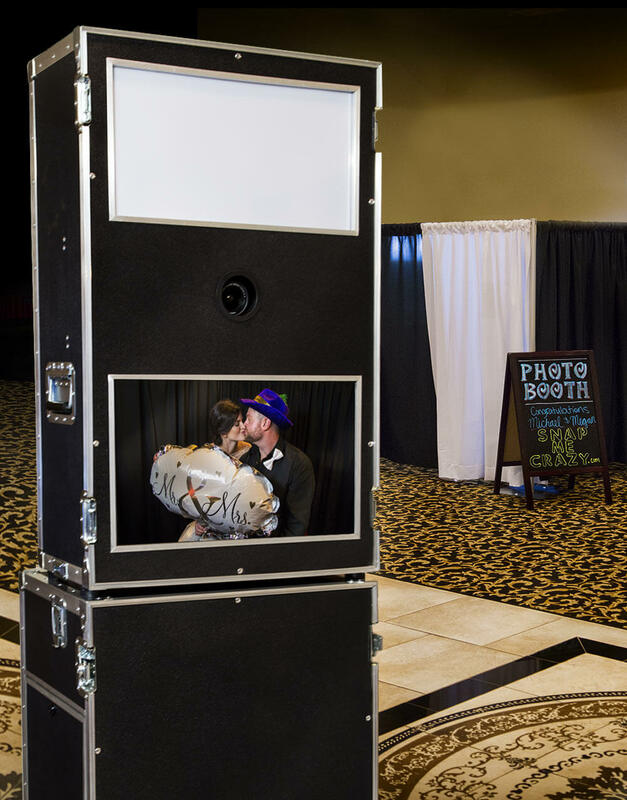 Photo booths will get your guests talking and keep your guests engaged throughout your wedding reception! Let us capture moments that will last a lifetime!